I’ve been sent a complimentary copy of this ARC by the author in exchange for an honest review – thank you very much! This is the first of installment of a series featuring private detective Charlie Woolf. The book was very skillfully written and really quick to read. The plot was carefully planned, the narration was captivating and I liked the atmosphere of pre-war England. I didn’t guess the main culprit either so no complaints in this area. Characterization is another story. Charlie Woolf, an accidental detective, was, in my humble opinion too milquetoast. I enjoyed the fact that his main occupation and skill was art, I liked his inquisitiveness but I missed some passion and a stronger motivation for his deeds. Well, perhaps it’s only me but if I were on his place I would swear like a sailor, ask the old man for refund and slap him for a good measure so he never ever dares repeat that trick again. Still the ending made the whole novel worth my while – I liked the twist and the identity of the baddie and I liked the surprise. A nice beginning of a series but I do hope the main lead will become a more interesting creature in next installments – I mean him finding more spine and behaving in a more passionate way. 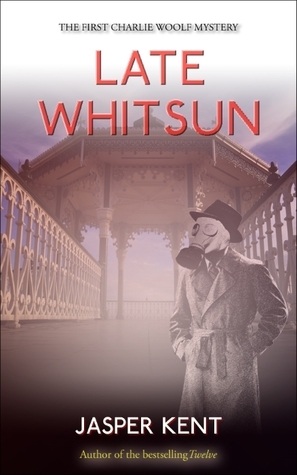 This entry was posted in ARC, book review, historical, mystery, whodunnit and tagged charlie woolf mystery, Jasper Kent, late whitsun, series alert. Bookmark the permalink. Interesting….not sure what I think tho. Overall yes but I’ve read far worse whodunits than this one.